Look at this picture of a William Wordsworth manuscript. You can see that he has written in a copy of a printed book. The book is a copy of poems by his friend Samuel Taylor Coleridge. Why do you think Wordsworth did this? Working in pairs, each of you type out two copies of a poem in very neat handwriting. When you have done this, swap your neat copy with your partner. Next, your teacher is going to give you some subjects to write a poem about. Now draft your poem onto the sheet of paper with the typed poem. You can write it any way you like: in the margins, in between the lines, on top of the lines, across the lines. If your poem is long, you might want to continue onto the second page, or you can re-draft your first version on the second page by entering it in a different way. Compare your entry with that of others. - How hard was it to write across someone else’s writing? - Did it affect the way you wrote or thought about your writing? - How do you feel about having someone else write across your neat copy? Do you think Wordsworth thought about this? Or Coleridge? Now pin your examples on the wall to share with others. 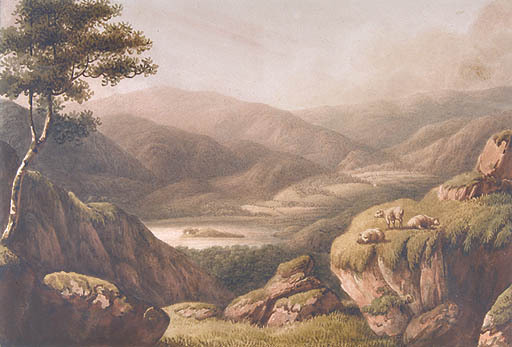 Wordsworth and Coleridge: Friend or Foe? A. Wordsworth uses his friend's book because it contains blank pages waiting to be filled and because he wants to draw upon Coleridge to help him write. B. Wordsworth uses his friend's book of poetry in an act of aggression – writing over his printed text to assert his own poetry. Use the evidence below to decide which you think is more likely. Decide which evidence supports A and which supports B. It seems from reading Wordsworth’s writing and Coleridge’s printed words, that Wordsworth was influenced by the printed words – although it is possible that he did not realise it at the time. In the section of the manuscript where Wordsworth is writing in between Coleridge’s printed lines, he is drafting an image using a lamp as a metaphor for human life. Coleridge’s printed lines are describing the death of Christ in order to give man eternal life. Hid or deform’d. But lo! the bursting Sun! Both the handwritten text and the printed text are about the same subject, using similar imagery. Can you remember the definition of a manuscript given earlier? 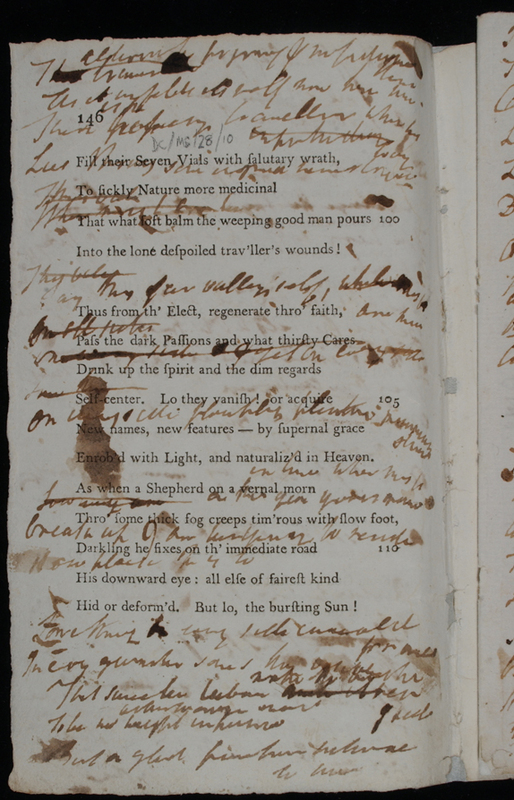 This page has both printed text (by Coleridge) and a hand written text (by Wordsworth). Is it a manuscript or not?